Before the Cuban Revolution of 1960 the family began moving the company’s assets to the Bahamas our of fear of Cuba’s former president, Fulgencio Batista, and the Castro Revolution. This included ownership of trademarks, assets, and proprietary formulas. On October 15th, 1960 the newly installed Castro regime confiscated all of the company’s assets when nationalizing all private property on the land and seizing bank accounts. Because of the foresight to shift operations out of Cuba, Bacardí lived on especially thanks to the large-scale production and distribution taking place in Puerto Rico. In 1961 Casa Bacardí’s visitor center opened to the public at the Cataño distillery, the second most visited venue in Puerto Rico. In 2003 it was remodeled and it was heralded as a “state-of-the-art” tribute to the Bacardí family as well as an opportunity for visitors to learn more about the history of the brand. 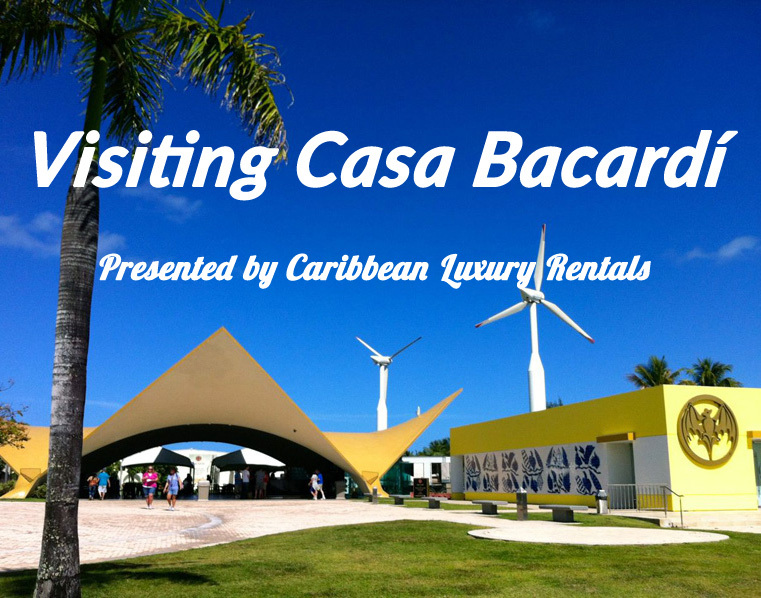 Casa Bacardí has recently renovated the facility and revamped their drink menu. Current estimates are that 85% of the Bacardí rum consumed in the world is produced at the plant. Due to the nature of this activity, we strongly encourage groups planning to consume alcohol to arrange for transportation. Casa Bacardí is about 45 minutes away from the Caribbean Luxury Rental properties and approximately 20 minutes away from Old San Juan. Most guests planning to visit Old San Juan and Casa Bacardí decide to visit both on the same day, many choosing to begin the day at the Bacardí factory and spending the rest of the day visiting Old San Juan since the distillery closes at 5 PM. Once in Old San Juan, there are multiple options to get to Cataño including a water ferry (the least expensive way) and taxi. We urge guests to plan ahead as the cocktails offered at Casa Bacardí have the reputation of being on the stronger side. Foremost it is important to know that the tour is intended for an adult audience and although there are areas that can be accessed by minors (under 18 years old in Puerto Rico), we do not recommend that families bring their young ones as it may detract from the experience for the adults. If you are young they will almost certainly request to see your identification before proceeding on any of the tours where alcohol consumption is included. Tickets to the tours and packages can be purchased directly at the visitor center and do no require advanced reservation. We recommend visits in the morning as the tours take around 2 hours and the visitor’s center closes at 5 PM. Based on the tour package purchased there are a number of included cocktails. Tours include a trolley tour of the outside of the facilities. If you choose the mixology tour (highly recommended) you will be greeted with a welcome cocktail and souvenir cup, three cocktails during the mixology course, and a final rum tasting in the gift shop. Throughout the tours visitors will learn about the different types of rums, how they are made, and how to best consume them.